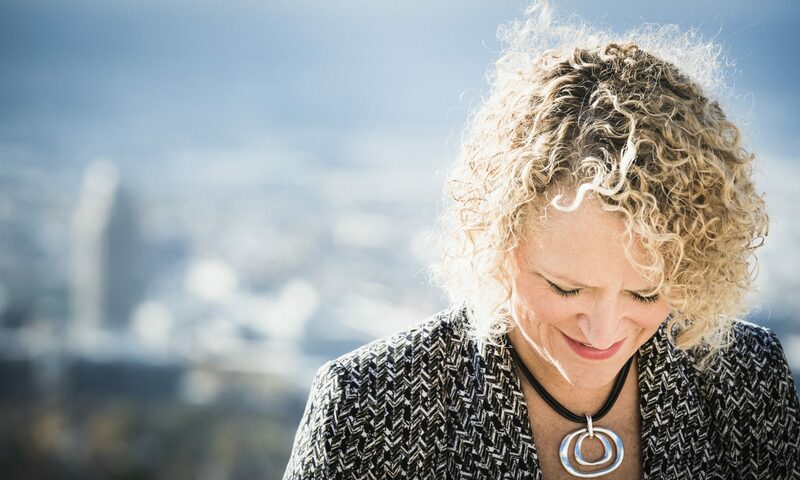 Salt Lake City Mayor Jackie Biskupski, Ensign Peak Nature Park, Salt Lake City, Utah. Portrait : a painting, drawing, photograph, or engraving of a person, especially one depicting only the face or head and shoulders. “Louis, you shoot portraits?” It was late October and I was looking for an assistant to help with an upcoming editorial portrait shoot. My prospective candidate – a talented portrait and wedding photographer – was serious when he asked me the above question. In fact, it’s not the first time someone has been surprised that I photograph things other than adventure/action sequences. 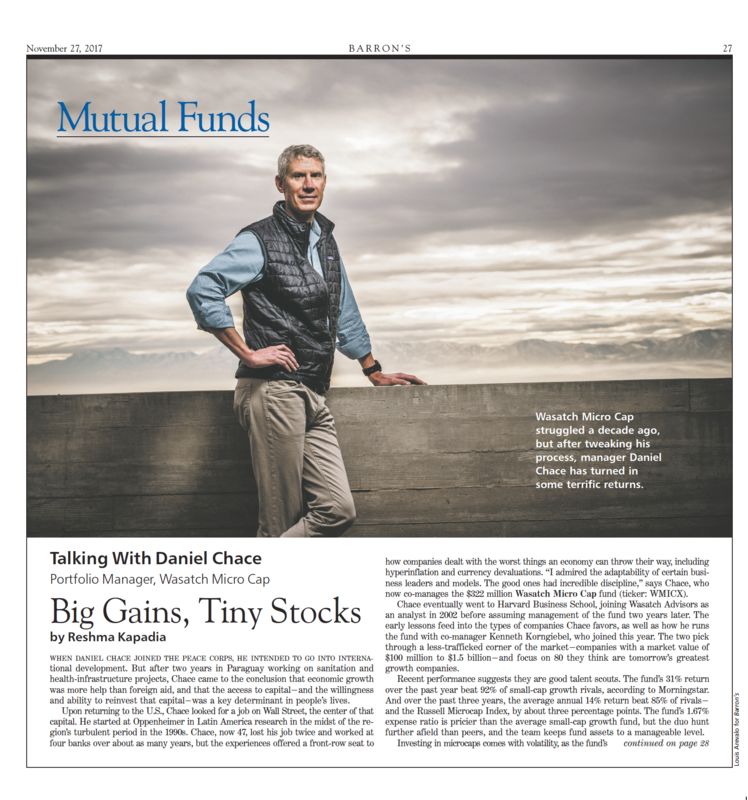 Dan Chace for Barron’s Magazine. Barron’s Magazine, November 27, 2017. Photos. After receiving the request to create an environmental portrait of Daniel Chace I paid a visit to his office. I scoped different spots then noted what lighting equipment would be necessary. Next I visited the Bonneville Shoreline Trail located only two blocks from the office and scouted the possibilities. The direction given was to focus on an outside look, but if weather forced us inside the office would be our back up. The day arrived with cloud covered skies, but no precipitation. Just to be safe we set up a lighting rig in a conference room before meeting Dan and heading up to the trail. Once outside we spoke about children, skiing, running, investing and how life has a way of unfolding. We shot on the trail and near the Museum of Natural History then returned to the office with time to spare. So we shot there too. McKenna Peterson for Backcountry Magazine. 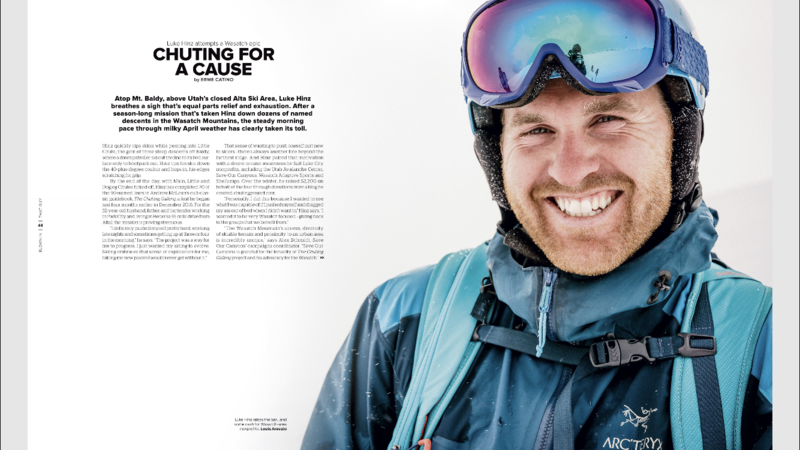 Backcountry Magazine, December 2017. 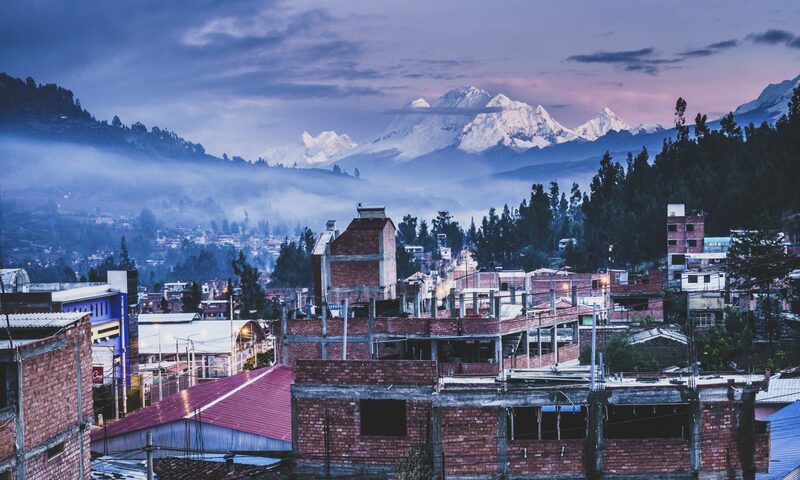 Photos and Words. 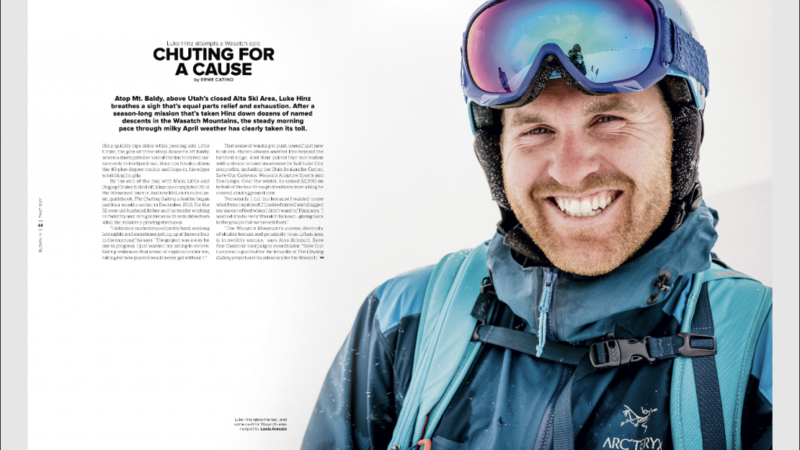 Luke His for Backcountry Magazine. Backcountry Magazine, November 2017. Photos. Local writer Erme Catino reached out last ski season to see if I could help create photos for his piece on Luke Hinz’s attempt to ski all the lines listed in the Wasatch’s steep skiing guide, “The Chuting Gallery”. Luke was trying to tick all of them in one season while raising funds and awareness for local nonprofits. We caught up to Luke one cloudy morning in April as he hiked and skied the runs on Mount Baldy. Outside, December 18, 2017. Photos. In response to the question, “Louis, you shoot portraits?”, I chuckled then shared the details of the shoot. 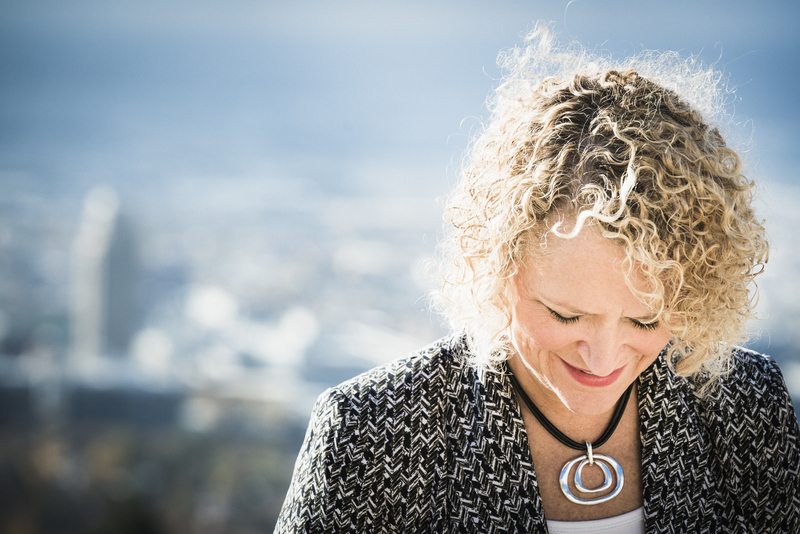 We met Salt Lake City Mayor Jackie Biskupski at a nature park that set the city skyline as the background. 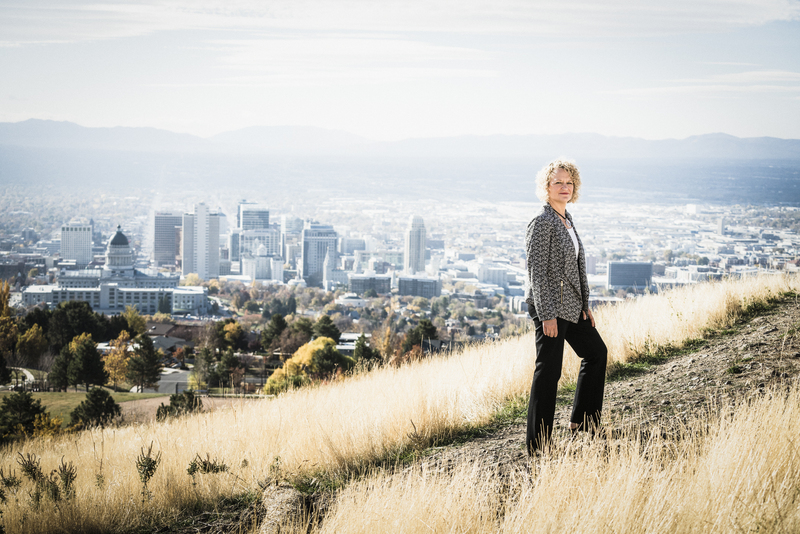 For forty minutes we chatted with the mayor and snapped away… You can see the article by Jimmy Tobias here.